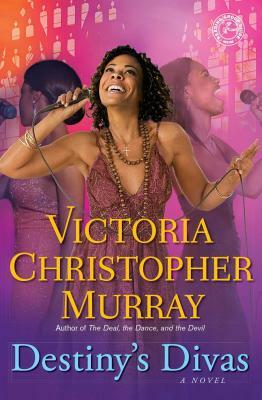 Secrets, scandal, and sin abound in the private lives of popular evangelic gospel group Destiny’s Divas in this page-turning and revealing novel by the Essence-bestselling author. Sierra, Raine, and Liza are Destiny’s Divas, a fresh, new gospel group whose unique blend of singing and testifying has gained them fans across the country. They tell the world about how good God has been to them, but off-stage, each is living a life totally opposite to what she preaches—and each is harboring a secret that could ruin them all. Twenty-something Sierra Dixon speaks about the joy of being single and celibate, though she is anything but, drifting from one relationship to another. Although she stresses the importance of unconditional love within the family, Raine Omari has hit her breaking point with her mother-in-law and is ready to take drastic steps. And when Liza Washington discovers that her pastor-husband is in the middle of a scandal that could bring down more than just their ministry, she knows she must do something to stop him. One fateful evening their secrets are exposed, and one diva commits an act that could land her in prison for the rest of her life. Each has motive—who will crack?